This story kicks off a new full-color series of unofficial graphic novels for Minecrafters! When quiet farm girl Pixel receives an acceptance letter from the prestigious academy for gifted students, Redstone Junior High, she is thrilled! And she works up the courage to leave her family and her beloved farm animals to become a Redstone student. The school prides itself on its safety record as much as its academics -- Mob-free for more than 100 years! boasts a sign on campus.Little does Pixel know that the school's long history of safety is about to take an unsettling turn. When zombies begin popping up on campus, the students begin to panic. 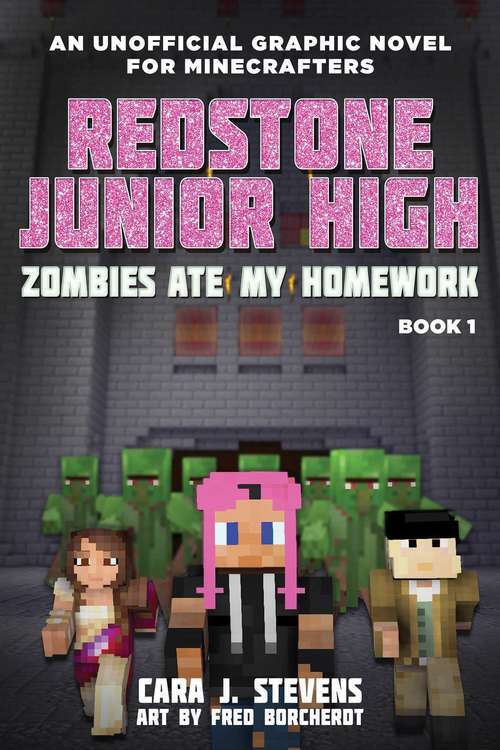 Pixel, with the help of her new best friends, is the only one who can figure out why the zombies are invading -- but can she do it before the school becomes a battlefield?The adventure that unfolds will test Pixel's courage, reveal a unique and precious gift that she never knew she had, and change how she treats hostile mobs forever.